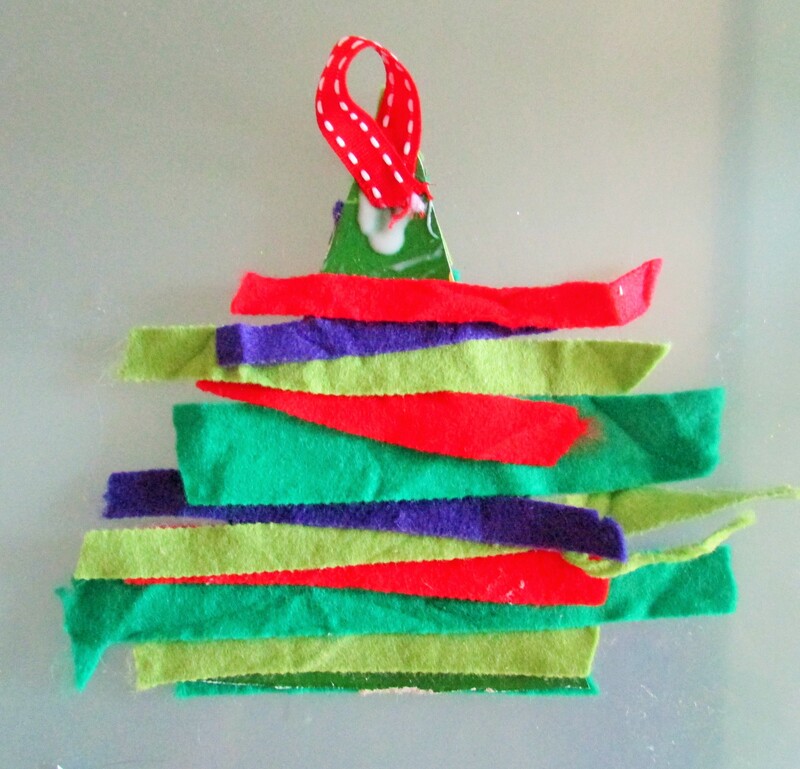 Felt Christmas Tree: Simple, easy to make and great for fine motor development. This is the perfect craft for independent crafty kids. My girlie loved making them; cutting up our scrap felt, creating her own pattern and then finishing off with a little sparkle. A charming traditional little story that depicts an ordinary family getting ready for the Christmas. The illustrations are beautiful and this is a super book for young children during the build up to Christmas. Scrap Felt – This could easily be replaced with fabric or paper. 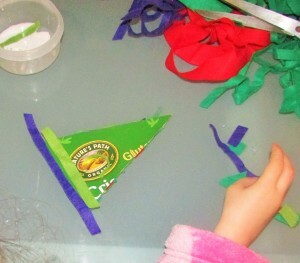 To get the Little Lovely started, I cut a triangle out of an old cereal box and displayed the craft materials ready for Little Lovely to get stuck in. Using PVA glue, Little Lovely cut off strips of felt and stuck them on horizontally onto the cardboard triangle, alternating the colours. Since Little Lovely has been learning about sequencing and patterns at school, she really enjoyed using the different colours to work out her own pattern. 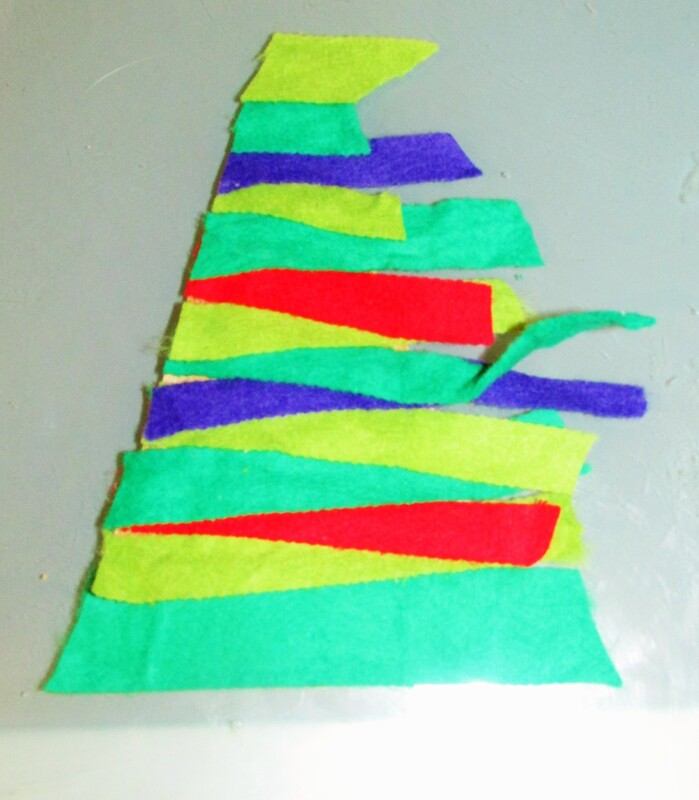 The strips do not have to be cut to the exact size of the triangle as the tree can be trimmed at the end. To hang our Felt Christmas Tree ornament, we looped some ribbon and attached with glue. With this being a kid-made ornament, second time round I would probably help out and attach using a stapler instead, to make it more secure. 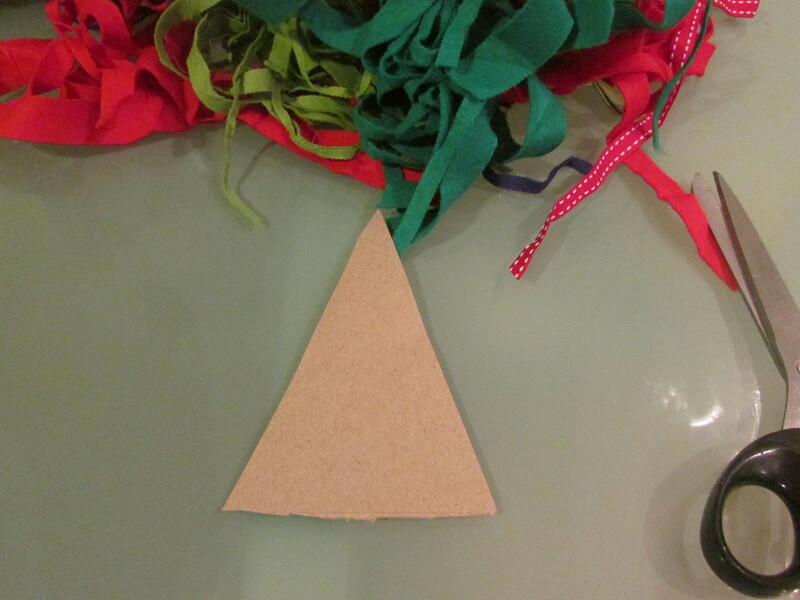 Once the glue has set, trim the felt strips to the size of the cardboard triangle. 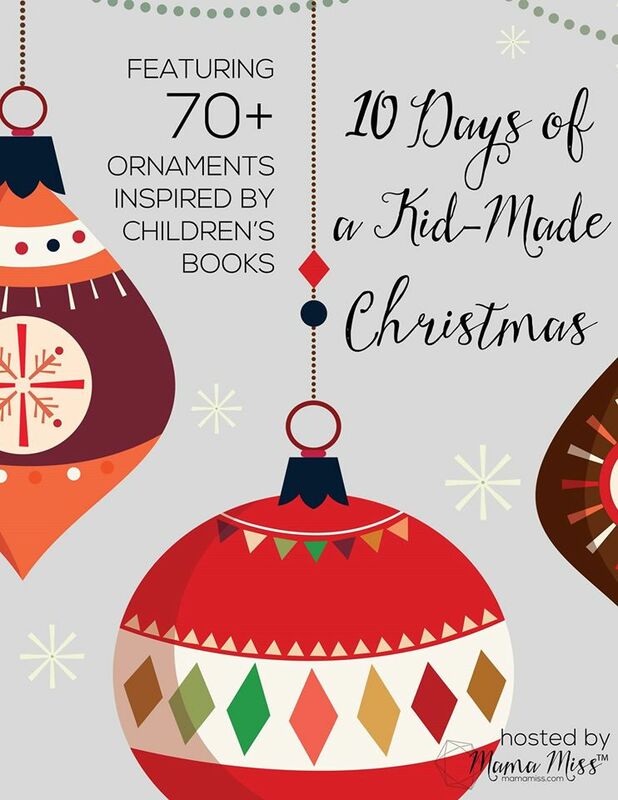 Your crafty kid may need a little help with this bit. 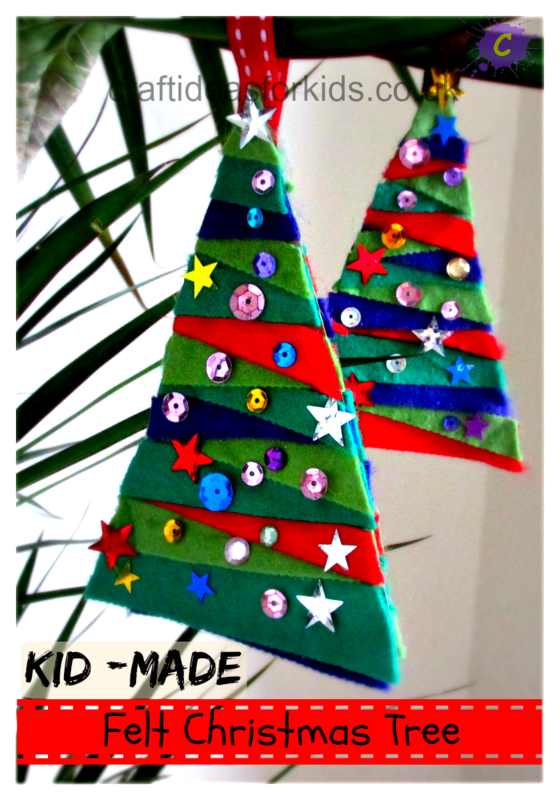 To finish off, Little lovely added some sequins and stars to make her Felt Christmas Tree Sparkle! 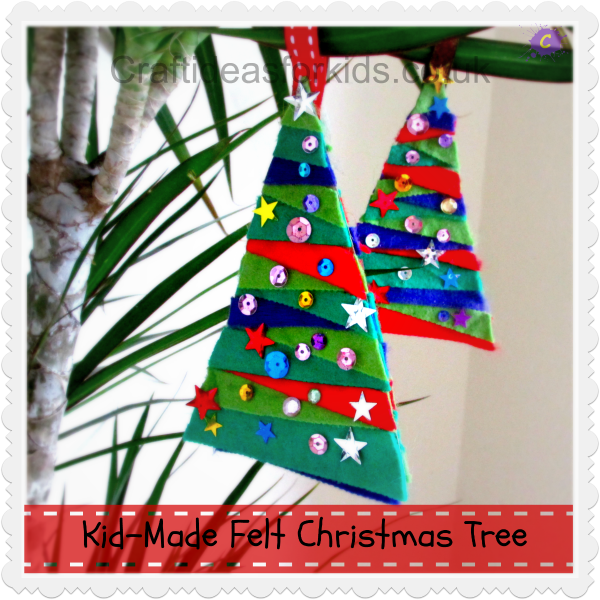 This post is part of a festive blog hop – check out these other great kid made ornament posts!